My big 3 tips for reducing injury risk in runners. Through my work as a physiotherapist I’m very lucky to get to work with a lot of runners and I have certainly come to realise one thing about runners…they just want to RUN! Running has quickly become one of the highest participation sports/fitness activities in the UK, with Sports Marketing Surveys inc listing running as the second highest participation sport in the UK, only behind swimming. Further to this, England Sport reports over 2 million people in England get out to turn the legs over at least once a week. These stats are unsurprising really, there’s probably no simpler way to get a great cardio work out than dusting off the trainers and hitting the road/path/track/trail. 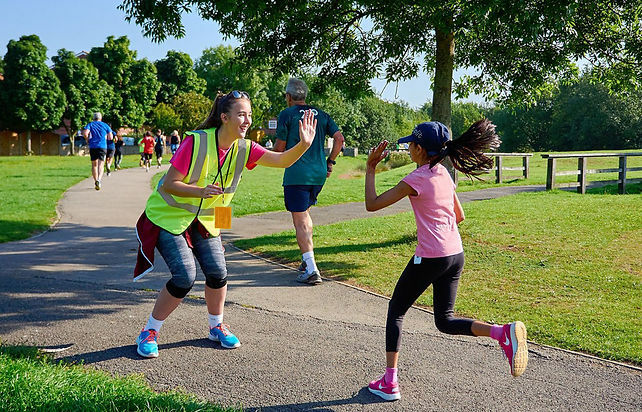 Add on to this the supportive and social environments offered by running clubs and the wonderful Parkruns that happen every Saturday morning around the globe, it’s easy to see why running is so popular. Despite it’s popularity and simplicity, running has one of the highest rates of injury of any physical activity. 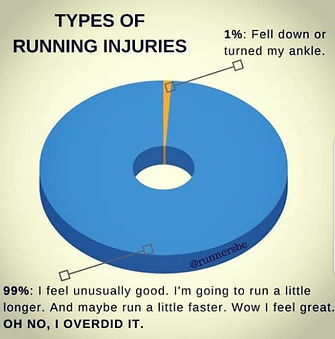 Runners World reports up to 80% of runners will sustain an injury whilst running every year (Gent et al, 2007) and a study released just this year showed that almost 50% of the runners surveyed were currently injured, with 86% of them continuing to run despite it causing pain! (Linton & Valentin, 2018). Probably the leading reason runners come to see me in the clinic is that they have done too much! This is usually either running too many days in a row or ramping up the distances/intensity of their running very quickly! The other side of load management is the non-physical loading, such as work stress, family stress or lack of sleep. As Running Coach Mark Yabsley says “you take everything out with you on your run”, sometimes it’s easy to overlook these factors when thinking about our training load. Check out Mark on twitter @equinox_coach. Have a plan for each run – AND STICK TO IT. Plan what distance and intensity you want to run e.g. if it’s a long slow distance run, run it at your long slow distance pace and only go for the planned distance – even if you’re feeling REALLY GOOD at the end of the run. If for some reason you miss a session (e.g. had to work late, poor nights sleep and could get up), don’t feel you need to play catch up for that session but running longer distances later in the week. As highlighted in the previous section, load isn’t all about the amount of physical work/training you are doing, lifestyle and emotional stress also plays a big role! Utilisation of stress management is a key part of staying injury free. Headspace app – this is a great app to use for some guided meditation. The introductory course of 10 guided sessions are free too! Have I stressed this point enough yet? “Why is getting stronger good for my running? Won’t that make me bulky and slow?”, good question this one and one I get asked often! The main reason strength training is good for runners is that it conditions the tissues of the lower limb to deal with the forces being put through them, therefore reduces the risk of injury! 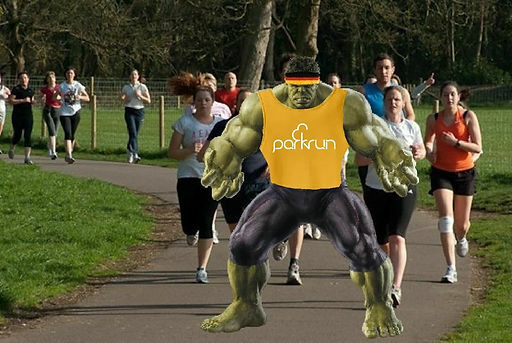 And as for getting “too bulky and slow” – the amount of strength work I would recommend to runners (2 sessions/week) and the amount of running you are doing wont allow your body to build big masses of muscle – so don’t stress about looking like The Incredible Hulk whilst trying to get around Parkrun. 200kg x 500steps = 100,000kg of load per mile! Changes to your nervous system makes running more efficient and therefore reduces fatigue! Here are my simple tips on how to integrate some strength training into your training program to reduce your injury risk and avoid overload! How many exercise per session should I use? How much of each of these exercises should I do? How often during the week should I strength train? When in the training week should I strength train?